The height of luxury in the heart of Abu Dhabi. Our 5-star hotel has much to offer. Connected to Al Wahda Mall, it's a shopper's dream come true. 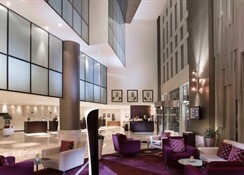 Business travellers can look forward to a state-of-the-art business centre. Holidaymakers will appreciate our convenient city-centre location, first-class health club and spa, and 5 dining options led by prominent and experienced chefs. 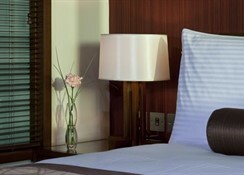 Its 844 rooms offer great views of Abu Dhabi and the nearby attractions. The iconic Qasr Al Hosn, Sheikh Zayed Grand Mosque, Ferrari World Abu Dhabi, and Abu Dhabi National Exhibition Centre are only short drives away. The upscale rooms with minimalist decor offer free Wi-Fi, flat-screen TVs and minibars, plus tea and coffeemaking facilities. 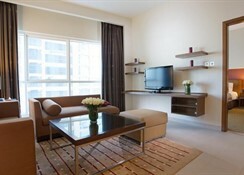 Upgraded rooms have panoramic city views, while apartments come with kitchens, washing machines and separate living areas. Room service is available 24 hours. 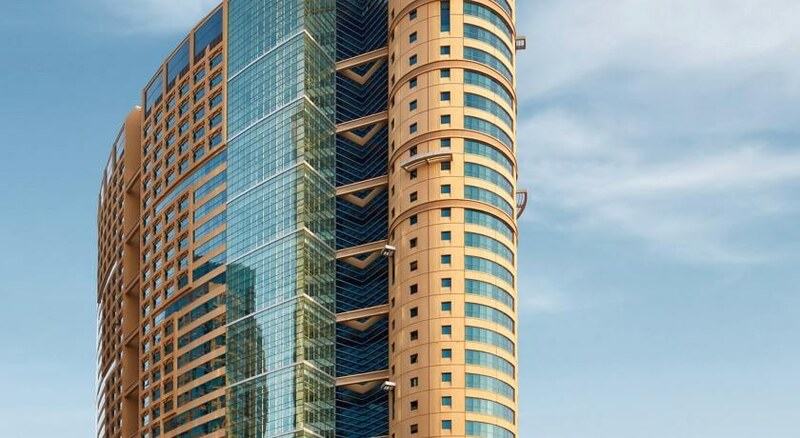 This family-friendly Abu Dhabi hotel is located near the airport, within a 5-minute walk of Al Wahda Mall, Al Nahyan Stadium, and Al Wahda Club. Abu Dhabi Mall is 2.4 mi (3.8 km) away.